My 3rd cousin, Andrew Bourn photographed at the ITT London Event. 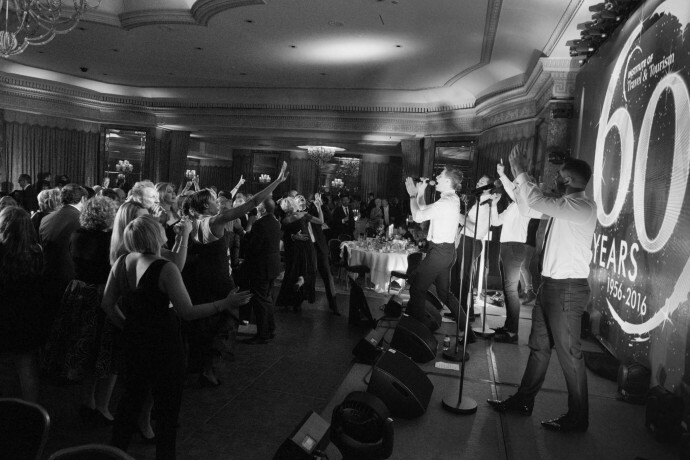 Live on stage at the Dorchester, London - the photography captures Jack Pack’s performance at the event. Andrew Bourn from Jack Pack is my 3rd cousin, it was lovely to see him again. I hadn't seen Andrew for about a year and it was the first time I had seen Jack Pack live, let alone photograph them at an event. Andrew always used to sing at family weddings and I always knew he was good – so pleased to see him doing well. 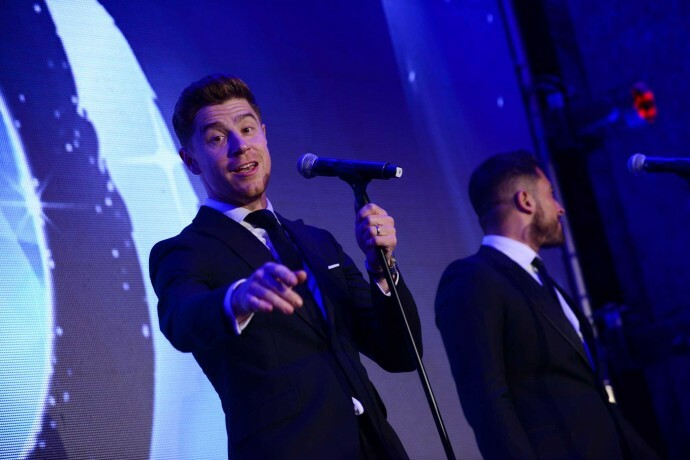 Jack Pack originally rose to fame in Britain’s Got Talent... ...they were great on the night at the Dorchester! 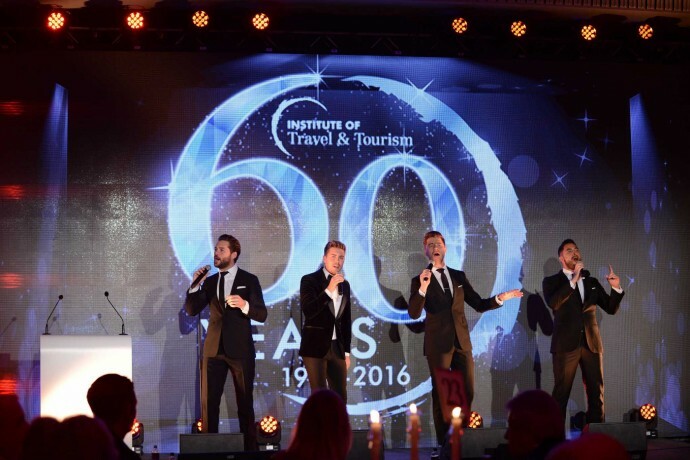 I was incredibly happy to provide Event Photography Services for the Institute of Travel & Tourism at the celebration of their 60th Anniversary at The Dorchester in central London. I have been working for ITT for over 10 years now, they’re a great bunch of people and organisers of such events. I was commissioned for the event by Dellar Davies, based in Ware, Hertfordshire. AG Studios regularly provide photography and video services to Dellar Davies and I have to say, they’re wonderful people to work with. So, want to see in more photos, including how Andrew was looking and playing up to the camera? Follow this link to the Event Photography. You can also visit Jack Pack’s official website here www.jackpackofficial.com. AG Studios provide Event Photography in London and around Hertfordshire regularly and also travel further afield with clients around the UK and abroad. If you’ve got an event coming up, and you like the style and quality of our photography services, we’d love to hear from you.